Dhaka, Bangladesh. Flickr/mariusz kluzniak. Some rights reserved. It was less glamorous than the Angelina Jolie-backed Foreign Office initiative to combat sexual violence in conflict, but the last British government was also active internationally on child marriage. This included a “Girl Summit” hosted last summer in London by David Cameron and attended by several world leaders, and a growing focus on child marriage in the programmes of the Department for International Development (DFID), championed by Justine Greening. If the government wants to build on this important work in the coming Parliament – and it should – Bangladesh is an absolutely critical country to focus on. First, it has the highest rate of child marriage under the age of 15 in the world (29 per cent). Second, the country’s Prime Minister Sheikh Hasina made concrete and public promises to address child marriage at London’s Girl Summit. Third, the UK is the second largest government aid donor to Bangladesh, giving it important leverage. The enormity of the child marriage crisis in Bangladesh is revealed in a new report published by Human Rights Watch on June 9. Based on interviews with scores of Bangladeshi women and girls, it highlights the main factors driving this phenomenon. Foremost amongst these is poverty. While Bangladesh is often cited as a development success story – with reduced overall levels of poverty over the last twenty years – millions of Bangladeshis have been left behind, struggling to meet their most basic needs, including for food. In the face of such grinding poverty, there are very strong family pressures for girls to be married off young, into a family that may be slightly wealthier. The poverty driving high levels of child marriage in Bangladesh is exacerbated by the country’s exceptional vulnerability to natural disasters, further compounded by the effects of climate change. 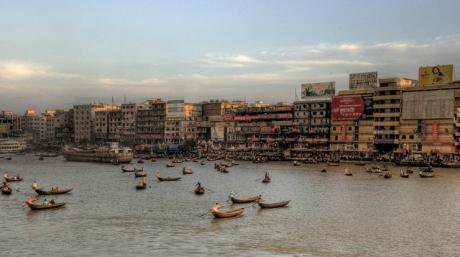 It is well-known that Bangladesh’s geographic location and topography makes it prone to cyclones, floods, storm surges, earthquakes, droughts and tornadoes, and that the country is one of the most densely populated in the world. But our research suggests an important link between vulnerability to natural disasters and child marriage. Many of the girls we interviewed made this connection, explaining how exposure to natural disasters – particularly flooding and river erosion – has pushed their families further into poverty and led parents to seek early marriages for their daughters. Our research indicates a strong connection too between access to education and child marriage. Many girls said they were married off when their families could no longer afford to educate them. Even where schools are technically free, the added costs of exam fees, uniforms, stationery or transport are often prohibitive. Mariam, who spoke to Human Rights Watch three days after her wedding at age 15, is one of nine children born to farmers. “I studied to class five,” she said. “But to go to school for class six was too far away. I got married because I quit school.” Her experience is a very common one. Child marriage in Bangladesh is also driven by cultural norms, and by discrimination, prejudice and fear of violence. Some young girls spoke of social and family pressures to marry, in order to thwart sexual relationships outside of marriage. Even just the possibility that a girl may be involved in a romantic relationship was sometimes sufficient to prompt a rushed marriage. And several families described marrying a daughter out of fear, following threats of sexual violence or abduction. Unmarried girls who are nearing or have reached puberty are often targets of harassment and are seen by their parents as at risk. Shockingly, to marry off a young girl to an older man is seen as a way to protect her, despite the multiple examples of violence and horrific abuse associated with child marriage. This testimony should be a source of shame for Bangladesh’s political elite, not least the country’s Prime Minister, who vowed at last year’s Girl Summit not merely to reduce but “to end” child marriage. Sheikh Hasina even outlined a series of steps to achieve this, including legal reforms and a national action plan. But she has so far failed on both counts. Moreover, our research reveals widespread complicity in facilitating child marriages by local government officials, who forge birth certificates to show girls as over 18, in return for bribes. And the Bangladesh government is now proposing – absurdly and dangerously – to lower the minimum age of marriage for girls from 18 to 16. The main responsibility for addressing child marriage in Bangladesh rests with its government, of course. But the British government has responsibilities and opportunities here too: to follow through on its own pledges, to re-orientate its work in Bangladesh to better address the economic, social and cultural drivers of child marriage, and to support those courageous individuals and groups within Bangladesh that are pushing for reform. As David Cameron said at the Girl Summit: “Politicians are very good at passing laws… but aren’t always good at following through and making sure that a change in the law leads to a change in culture and a change in practice.” He’s right. Action to combat child marriage in Bangladesh and elsewhere will require sustained engagement. The newly-elected British government should reaffirm its commitment to provide international leadership on this issue and match fine words with resources and concerted action.